These are flat, painless sores on the inner part of the lips. They can be white or red. They’re usually painless, but they can bleed without a reason. If they remain in your mouth even after 3 weeks, make sure to consult your physician as soon as possible. They may be a sign of cancer. You might experience changes in the tongue characterized by bubbles or small warts. A thickening may also occur on the inner side of the cheeks. Loss of teeth in adults is never a good sign and it could be a potential indicator of cancer. If you notice that some of your teeth are moving, consult your dentist. There are a lot of reasons for this dental problem. If you have a difficulty swallowing and if food and fluids return back into your mouth, you need to consult your physician. 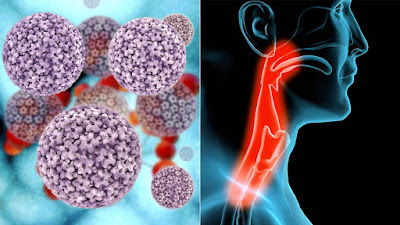 There may be a tumor in the throat blocking the passage of food and drinks. An earache may be a symptom of throat cancer because the ears are connected with the mouth and throat. This is a way in which the nerves communicate with the back part of the tongue and ears and this is why pain in the ear or both ears is an early symptom of throat or mouth cancer. If you experience stiffness in the mouth, as if you’re losing feeling in one part of the mouth, for example, the cheek or the tip of the tongue, you should consult your physician for further tests. Stiffness occurs when the nerve signals from the abnormal cells or wounds are interrupted. Other related symptoms may be difficulty chewing and drooling. Pain and stiffness in the jaw may be a sign of TMJ disorder. The problem may become even more serious if the pain is followed by a swelling, as if your braces and teeth don’t fit in together. This combination of symptoms may be a sign of something impeding your normal jaw movement, resulting in pain and jaw immobility. Vocal changes of any kind aren’t something to be neglected. If your voice becomes hoarse all of a sudden, it means that something’s not right with your throat or the back part of the tongue. If you experience any of these symptoms, consult your otolaryngologist.